The majority of SDFs seem to have a dog and those I've seen are well fed. The local vets will treat these dogs free when it's necessary. This dog has a blanket, bowls, even cardboard underneath her so she won't get chilled. Cynically I suppose one could say she is displayed in this way to encourage people to give money. Who knows? 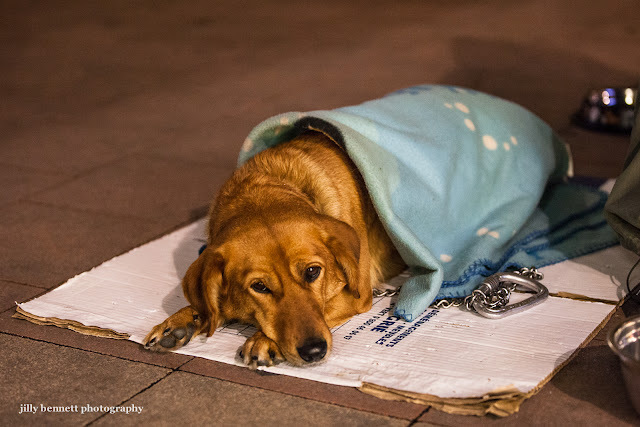 The truth is that often a dog is the only friend a homeless person has. 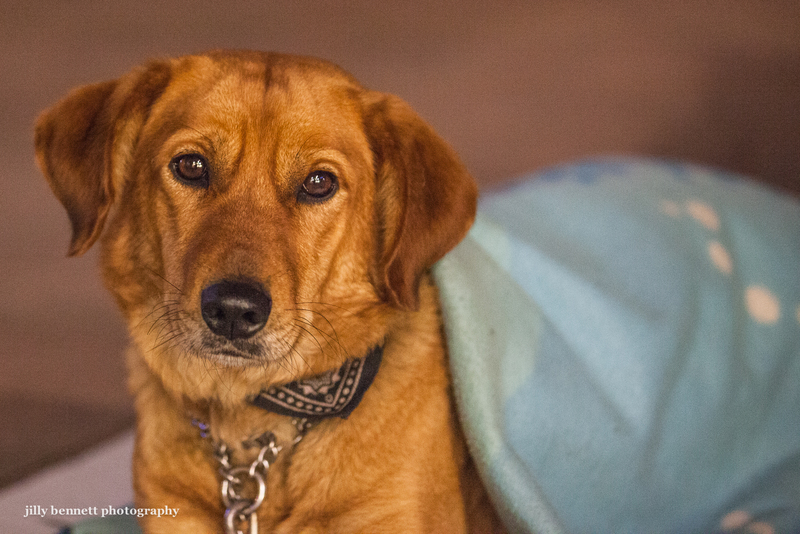 I asked her owner if I could take her photo and he let me but insisted I didn't take his - so of course I didn't. Love these photos. It doesn't take millions to love a dog! Lovely expression. I believe that dogs living with homeless people are among the happiest and most well adjusted. They spend day and night with their humans, they forage together and sleep together. It's very close to heaven for a dog. I have heard this too English Rider. I guess they do not get over indulged , spoilt, feed too much and , in turned - made crazy. Still ..... I feel sad looking at these dogs all the same . Such a beautiful baby! At least the dog is loved and appears healthy. Maybe some kind person will give the dog a bone for Christmas. such a though provoking post. thank you! He does look very well cared for. we also love a dogs! Regards from Poland!